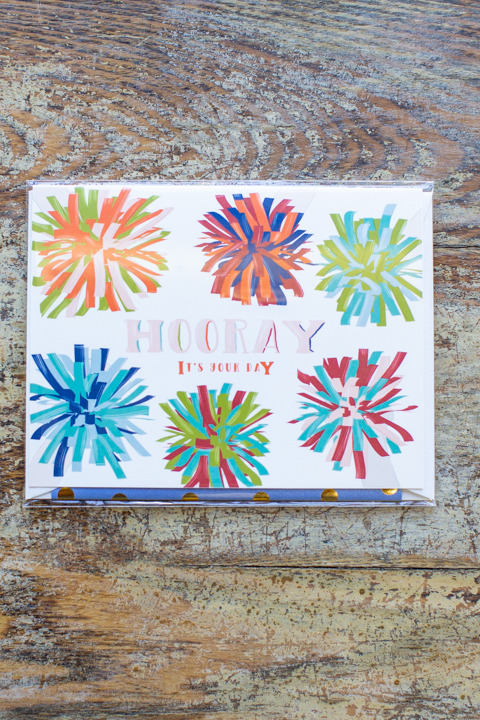 The Hooray Pom Pom is a cheery blank sentiment card that applies to birthdays, celebrating a promotion, a big move or so many other events to celebrate in ones life. 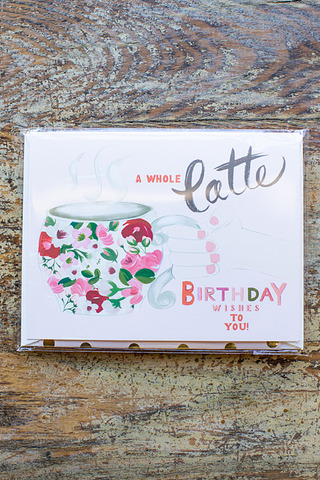 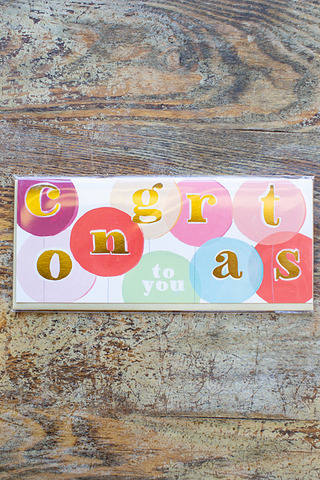 The cream card stock has pops of color throughout and has the words Hooray It's Your Journey in the center. 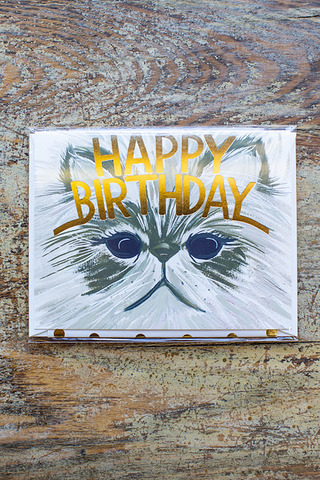 Navy envelope liner with gold polka dots.